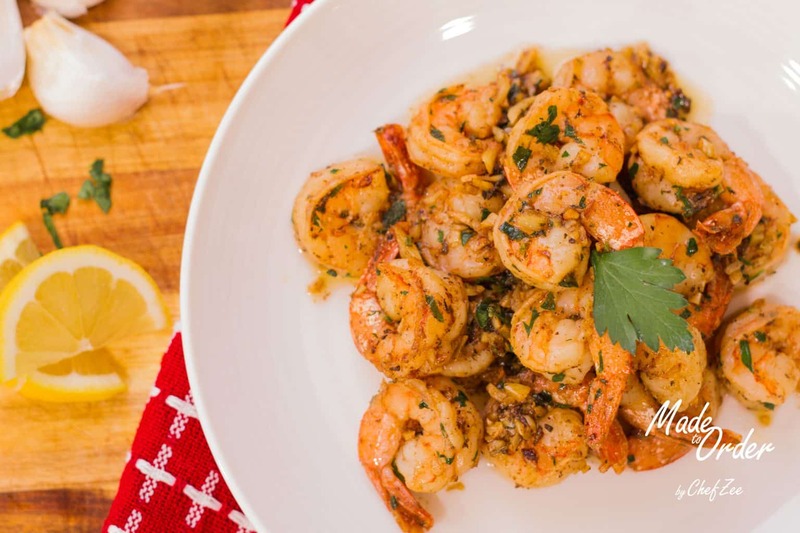 Camarones al Ajillo aka Garlic Shrimp is such an easy yet flavorful dish to make. It’s honestly my go to whenever I don’t want to fuss around with too many pots and pans and whenever I want my dinner to be ready super fast! The beauty of this dish is that you can make it however you want. Feel free to freestyle this recipe and have fun. There’s no need to get to caught up in the nuances of measurement. Honestly, everything in this dish is to taste! The garlic, salt, pepper, lemon and even the parsley is all to your liking! Now if you’re like me, then you’ll most likely go heavy on the garlic because garlic is LIFE! 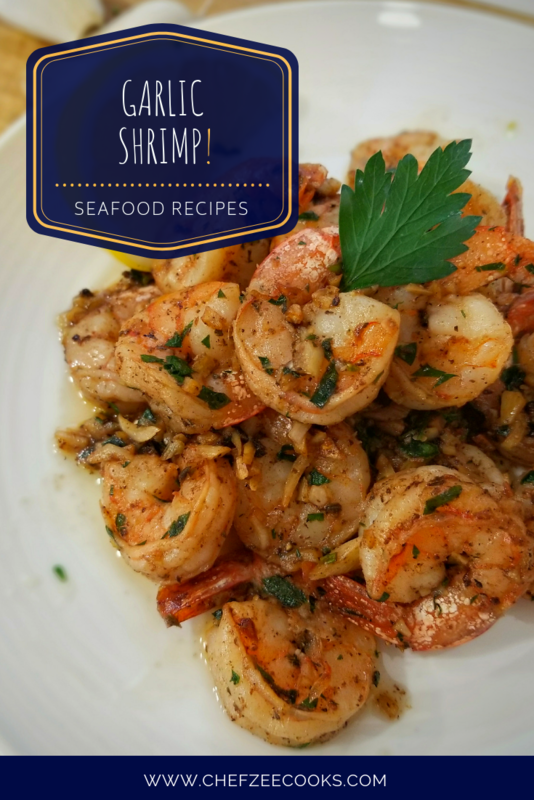 As I mentioned before, Garlic Shrimp is one of those dishes that you can make a ton of different ways. You can make it Shrimp Scampi style and add dry white wine or you could even spice it up and add Red Pepper. The decision is really up to you. Whenever I make this dish, I like to keep it simple. I want to taste the freshness of the shrimp and be wowed by the yumminess of the garlic. And best of all, I want to be harmonized by the tartness of the lemon. It honestly doesn’t get better than lemon and garlic– the two are a heavenly match! Now I believe that there are two camps of people when it comes to Camarones al Ajillo. You have Camp A who likes to make their garlic sauce first or at the same time as their shrimp and then you have Camp B who likes to cook their shrimp first and then create the garlic sauce at the end. I’m in Camp B. I love cooking the shrimp first because this will add texture and dimension to my shrimp. Whenever you’re making an easy and quick recipe, you can truly have fun with heat settings and textures. It transforms the dish and develops flavor like you wouldn’t believe. This is entirely true whenever you’re making Garlic Shrimp. At first you brown the shrimp, cooking it to perfection only to remove it from the fire. Then you build your garlic sauce on the yummy bits that the shrimp left behind only to marry them together in the end. What you have, are tasty Garlic Shrimp tossed in a brown butter sauce that’s rich in flavor. Mince garlic and parsley. Set aside. In a large mixing bowl, season shrimp with oregano, salt, pepper, and one half of freshly squeezed lemon. Mix until well combined. Now add garlic and mix until it has melted. This will help deglaze the pan and capture all of the awesome flavor that the shrimp left behind. Next, add the minced garlic, salt, and pepper. Saute for about 2 minutes.